Ideal for all students with high-functioning autism or behavioral disabilities. The three components—cards, DVD and instructor’s guide—form a comprehensive program that is easy to implement. 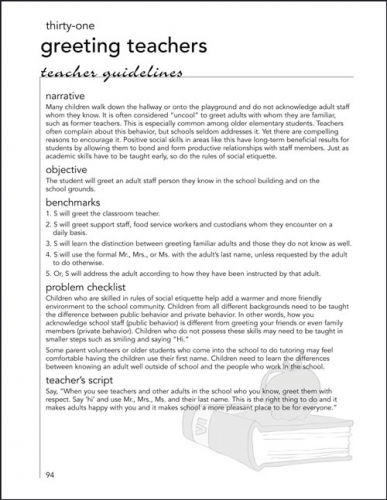 The Social Standards at School book focuses on 53 relevant social skills, organized to mesh with a typical school day. Getting ready, classroom behavior, transitions, breaks, plus relationships and etiquette: Each skill provides teacher guidelines and a student self-monitoring page. The guidelines include an objective with five benchmarks, a problem solving checklist and a script for teachers to follow when reviewing the skill with students. 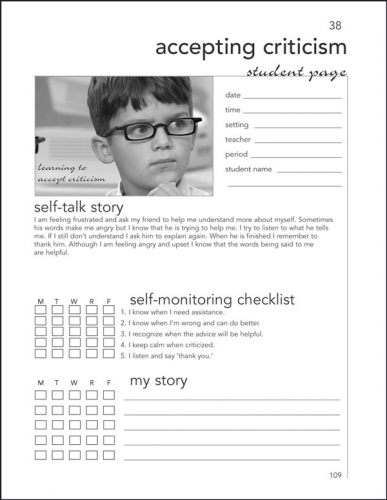 Self-monitoring pages help students keep track of their social progress. Ideal for student portfolios. 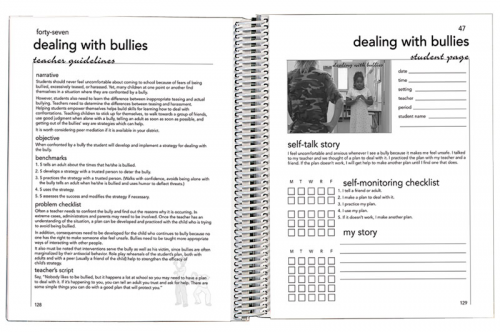 A concise record keeping system helps integrate the teaching of social skills into IEPs. By Judi and Tom Kinney, covered, spiralbound book, 160 reproducible pages, includes Win/Mac CD with printable PDF, 2003-2005.
is a behavioral and social skill card game, for students grades 1–6. 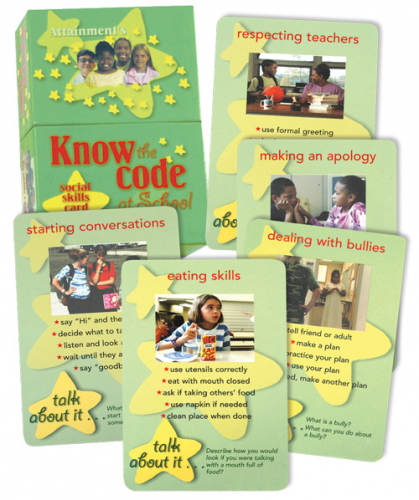 The cards Illustrate 50 typical, daily social skills in school scenarios with five easy steps to accomplish each. Each card shows a skill with a relevant photo, lists sequential steps and suggests talking points. Cards can be used for 8 different games, role plays and cue cards. Two sets of 50 laminated 4 x 6-inch color cards with instructions, 2002. 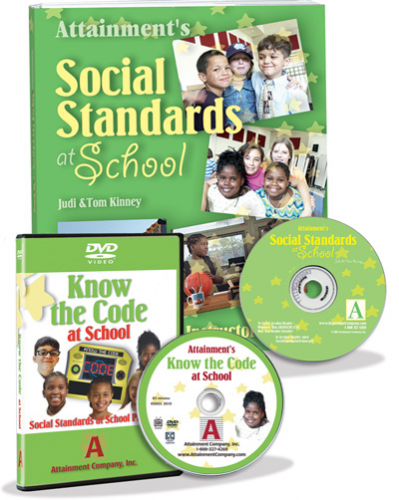 Your students will love the Know the Code DVD! It presents social skills in a lively, story-based format. Includes six segments: A Day at School, Charles Gets Teased, Dion Scores, Kristi’s First Day, Shana and the Secret, and Tameka and the Bully. Two engaging hosts analyze social skills for classroom discussion. 60 min., CC, with 24 page video guide, 2003.